The world famous Harlem Globetrotters announced recently that the team will honor three former greats as Globetrotter Legends, the team’s highest honor short of jersey retirement, at upcoming stops on their 2019 Fan Powered North American Tour. The three stars— Michael “Wild Thing” Wilson, Matt “Showbiz” Jackson, and Osborne “Goose” Lockhart—played a combined 48 seasons and collectively visited nearly 200 countries during their time as Globetrotters, and each left their mark as outstanding players and Ambassadors of Goodwill during their time with the team. Wilson, Jackson and Lockhart will each be presented with a prestigious Globetrotters Legend ring at upcoming stops on the tour. Wilson will be honored at the team’s show in Memphis on Jan. 18, while Jackson will be honored at the team’s show in Atlanta on Jan. 20, and Lockhart at the team’s show in Minneapolis on March 30. Created by the Globetrotters organization in 1993, the “Legends” ring is presented to retired Globetrotters who have made a major contribution to the success and development of the Hall of Fame organization. “Being a Globetrotter carries responsibilities that go far beyond basketball,” said Globetrotters President Howard Smith. “Our stars bring goodwill to every country, and every culture, they visit. 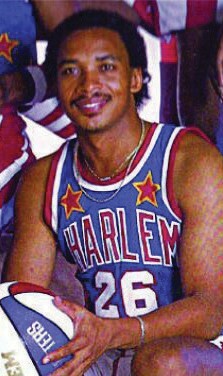 Osborne “Goose” Lockhart was a superior ball handler and shooter during his 17-year career with the Harlem Globetrotters. He also served two seasons as a coach for the team. Lockhart was selected in the sixth round of the 1978 NBA Draft by the Philadelphia 76ers after a standout career at the University of Minnesota. A native of Nassau, Bahamas, Lockhart was also an outstanding soccer player,. Lockhart was inducted into the Bahamas Hall of Fame in 2013 and currently resides in Ft. Lauderdale, Fla., where he serves as a coach and mentor at the Harmony Development Center. 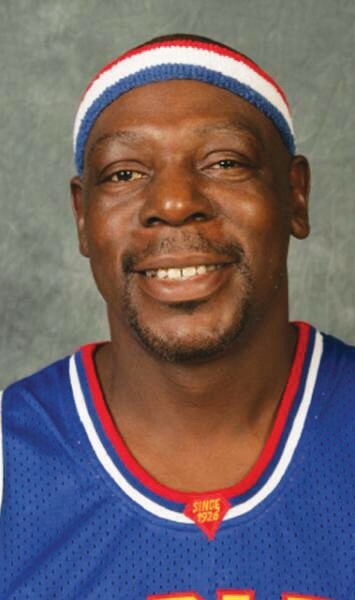 Jackson toured for 20 seasons with the Globetrotters, serving as one of the team’s top showmen. He visited more than 75 countries during his standout career. Jackson was known for his unbelievable behindthe back half-court shot that he sank with remarkable accuracy.. Jackson excelled on the gridiron as a standout wide receiver and tight end at Savannah State, where he earned all-league honors. A native of Savannah, Ga., Jackson attended Alfred Ely Beach High School, where he was a two-sport star in basketball and football. He currently resides in Buford, Ga., with his wife and is working on writing his second book. Michael “Wild Thing” Wilson is the current Guinness World Record holder for the highest slam dunk ever recorded, setting the mark at 12-feet during Final Four Weekend in April of 2000. An exhibit at the Naismith Basketball Hall of Fame is dedicated to his soaring accomplishment. 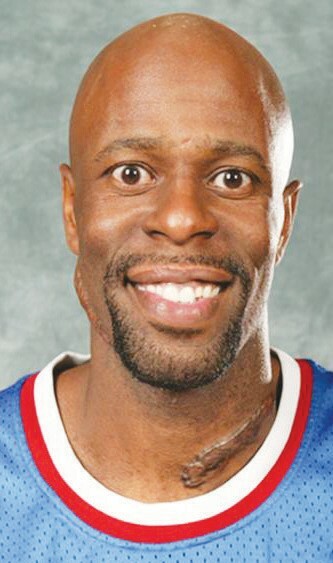 The Memphis native played 11 seasons with the Globetrotters, thrilling thousands of fans with his amazing slam dunks. Wilson traveled to nearly 60 countries during his standout Globetrotter career and was a two-time slam dunk champion at the NABC College All-Star Game. The 6-5 forward starred at the University of Memphis, playing in the 1995 and 1996 NCAA Tournaments. Currently, Wilson lives in Washington, D.C., with his wife and three children, where he works as Recreation Specialist for D.C. Department of Parks and Recreation.